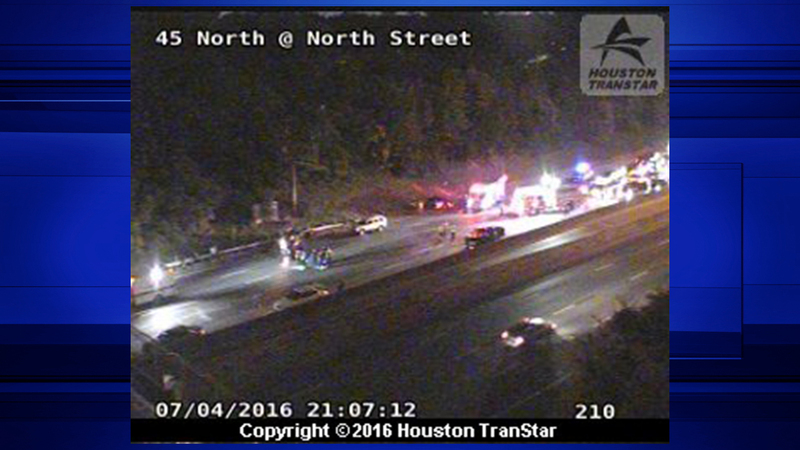 Authorities have closed all southbound lanes of I-45 at North Street to investigate an accident involving five vehicles. The accident was verified at 8:49pm. It's still unclear what caused the accident or if anyone was injured. We're told one vehicle is overturned and it'll be some time before crews can clear the scene.